Poco F1 Review: Bang for your buck! What OnePlus did to the likes of Samsung and HTC, Xioami's sub-brand Poco is doing to OnePlus. A few years ago, OnePlus disrupted the premium smartphone market by launching phones with similar specifications at half the price. What OnePlus did to the likes of Samsung and HTC, Xioami's sub-brand Poco is doing to OnePlus. A few years ago, OnePlus disrupted the premium smartphone market by launching phones with similar specifications at half the price. Although still competitive, the pricing of OnePlus smartphones has gone up in the recent years. The recently launched OnePlus 6, which is powered by Qualcomm Snapdragon 845 processor, has been priced at Rs 34,999. 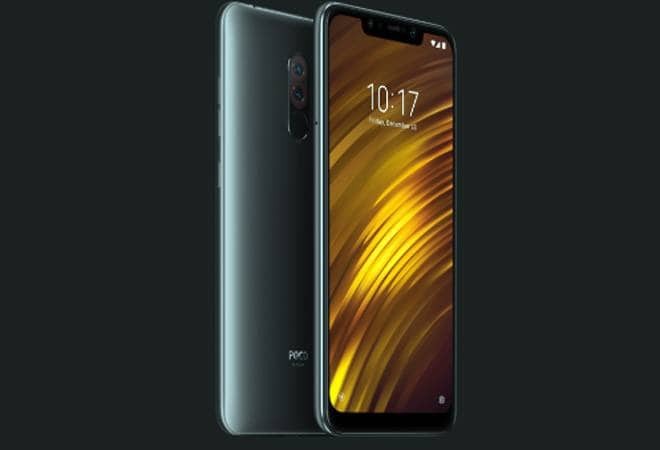 The first offering under Poco by Xiaomi focuses on speed, is powered by Qualcomm Snapdragon 845 processor, and is priced at Rs 20,999. But can Poco F1 give OnePlus 6 and other flagship devices a run for their money? Xiaomi has been the undisputed king in sub Rs 15,000 smartphone segment but struggled in the Rs 20,000 segment and above. Even with flagship launches such as the Mi 5 and Mi Mix 2 in the country, it could not compete with OnePlus and aggressively priced devices from Honor, Nokia and Vivo. But Xiaomi seems to have bounced back with the launch of this new sub-brand - Poco. During a recent visit to India, Lei Jun, co-founder and chief executive of Xiaomi, expressed the company's plan to fill the gap and aim to compete against the competition. The launch of Poco sub-brand seems to be the company's first step towards this. The Poco F1 isn't the slimmest and best-looking smartphone on the block, yet looks neat and elegant. While most of the new age smartphones feature glass rear or metal unibody, Poco has opted for a plastic polycarbonate body. Of the four variants available, my review unit was the top-of-the-line Armoured edition. The design was reminiscent of the old BlackBerry and Motorola devices. The curved corners along with the Kevlar back look nice. The Poco F1 is neither light (187grams) nor slim (8.9mm) and with a 6.18-inch large display at the front, cannot be operated with a single hand (155.7mm height and 75.5mm width). The power button along with volume button has been placed on the right panel, 3.5mm port on the top, SIM tray on the left panel and the speaker grill along with Type C charging port on the bottom edge. Infrared sensor, which is usually on the top panel on Redmi phones for controlling appliances with the Mi Remote app, is not a part of Poco F1. There is a vertical dual camera setup at the rear, followed by a circular fingerprint scanner and Poco branding towards the bottom. The phone is accompanied by a back cover in the box. The front is dominated with a 6.18-inch full HD+ display with 18:7:9 aspect ratio - there is a notch at the top, thin bezels on the sides, a wide bezel at the bottom - and is protected by 2.5D curved Corning Gorilla Glass 3. During the testing, the screen didn't get any scratches. The display felt bright with crisp text and great colour reproduction, and wide viewing angles. Sometimes, on auto-brightness, the screen brightness was a little too low and I preferred using the phone at full brightness. Within the display settings, I was able to select the colour and contrast of the display - while I personally like the cool colour, there was a colour pallet to choose from. Other modes include reading mode and night mode but I rarely used any of these. The soft navigation buttons - recent, home and back - sit at the bottom part of the display. I was able to get rid of them by opting for 'full screen gestures' where swiping up from the bottom took me to the home screen, swipe up and hold launched app-switcher and swiping left or right from the side edge took me to the previous screen/page. Gestures take some time to get used to, but are easy to master. Poco has also added a circular fingerprint sensor at the rear, which is very quick to unlock the phone. The company seems to have worked on face unlock - it instantly recognises the face and unlocks the phone. When tried to unlock using a photograph, it didn't unlock. Although the Poco F1 runs MIUI9.5, the user interface is slightly different from Xiaomi smartphones. App shortcuts have been added to the home screen and a swipe up from bottom loads the app tray. There are app categories on the top (all, communication, entrainment, social and more) and a search bar at the bottom of the app tray, which makes it easy to search for an app. On the homescreen, swiping right loads a customisable dashboard page where I was able to add shortcuts, note, calendar events and more. By default, the device comes loaded with a lot of apps. The list includes the basic utility apps such as calendar, calculator, compass, etc., Google apps and services, Xiaomi apps such as Community, Mi App Store, Security, Themes Mi Drop and more. The Snapdragon 845 is Qualcomm's flagship processor of the year and has been used in devices such as OnePlus 6, Asus Zenfone 5Z, US edition of Samsung Galaxy S9+ and more. Interestingly, the Poco F1, all the four variants are powered by the same. My review unit had 8GB of RAM and 256GB of internal storage, of which only 11.60GB was consumed by the system files. The phone handled heavy graphics apps and games with ease and there was no sign of lag while switching between multiple apps running in the background. The device didn't heat up but got slightly warm after an hour and a half of continuous use of the camera for capturing images and posting them on Twitter along with constant email notifications, documentation and browsing. Overall, I didn't encounter any performance issues with this device. The Poco F1 managed to beat 95 per cent of the devices on Antutu Benchmark, with 266100 score, which was neck-to-neck with Asus Zenfone 5Z and a little behind the OnePlus 6's 284080 score. I was really excited about the dual camera setup consisting 12-megapixel primary sensor with f/1.9 aperture and the 5-megapixel depth sensor with f/2.0 aperture on the Poco F1. The familiar camera app had short video, portrait, square, panorama and manual mode along with the photo and video mode. The portrait mode managed to capture some good bokeh images. It worked well with objects, animals, flowers and humans. Within the photo mode, is the AI setting that helps camera with scene detection and it turned on HDR when pointed towards the light. The images captured had fine details and natural looking colours. While the camera is impressive, it could not match the colour reproduction of the images captured by OnePlus 6. The 20-megapixel front camera captures some great selfies (including bokeh selfies) and the beautification mode in photo and portrait made the skin look neat and clean by removing marks and blemishes from the skin. The 4000mAh battery with Quick Charge 3.0 took a little over two hours for a full charge, which easily lasted me a day of extensive use with a couple of hours of camera usage along with constant social networking, push emails, YouTube access and a couple of hours of calling. While my review unit was the top-of-the-line variant with Qualcomm Snapdragon 845 processor with 8GB RAM and 256GB onboard storage priced at Rs 29,999; even the entry-level variant with the same processor, 6GB RAM and 64GB storage for Rs 20,990 makes the Poco F1 the best smartphone in its price category. The Poco F1 actually gives a tough competition to Xiaomi's A2 for Rs 16,999 and the Redmi Note 5 Plus variants.